At KRT, we see our customers as partners. That is why we layout a full project plan in advance and work with the client through each phase of construction as the project progresses. 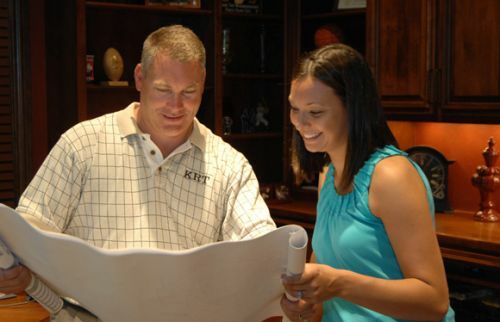 KRT will provide as much or as little guidance as you need, but in the end it’s your dream home. You have the final say in everything—from the first brick to the last roofing tile. Decades of experience help KRT remain very accurate in our assessments of materials, price allowances and schedules. Typically our bids are within 5% of the finished cost of the project, which is essential to KRT’s commitment to our clients. With innovative job-tracking software, we can tell a client where they are on their project, cost-wise, almost to the day. Together we review each project weekly to make sure everything is on track with budgets, deadlines and materials. We are proud of our reputation for accuracy and client satisfaction. That is why KRT provides a comprehensive one-year warranty and a 30-day post move-in punchlist.